Our Suburban Farm: Erin is Famous! Adam is taking a Photovoltaic (Solar Power) class this semester that began last night. 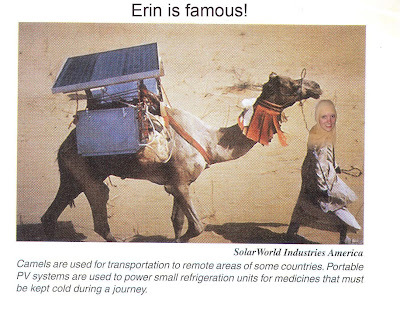 He opened his book and was shocked to find a picture of Erin in one of the first chapters!